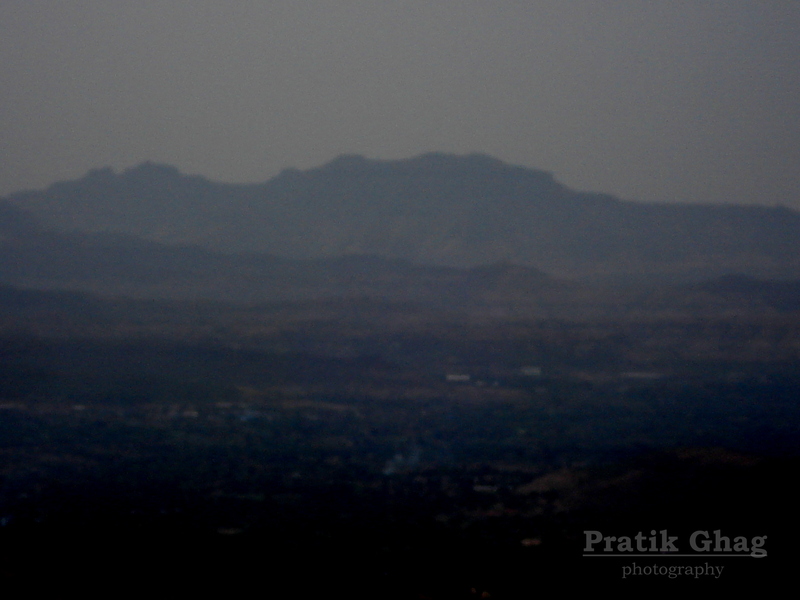 Friends, I have been to Sinhgad a number of times. And believe me everytime I found something new to explore. It’s like the place has magic in it, everytime I visit it passes on something to explore, be it’s walls, buildings, trees, flowers, water bodies, climate, food stalls, etc everything becomes new each time. So I would love to share the experiences I had. The first time I visited it was in the month of December. It was year end and we friends decided to do some exploration. We were short of time so decided to drive up the fort. The steep slopes, sharp turns, small two way roads, valley on one side and the mountains on one side, bad conditions of roads had kept telling us that the road to your destination is not a simple one. But we enjoyed the thrill, afterall what’s the use when you can easily reach the top? It was a great feeling of satisfaction when we reached the top. But the journey was not over. We decided to go through a different route (that’s the way new places are explored na??) and it payed off well. We saw the ammunition store house (daru kothar), bastions, abandoned canons in a perfect state (there’s still a mystery why don’t these canons get rusted) and moved on to see what other people were watching. 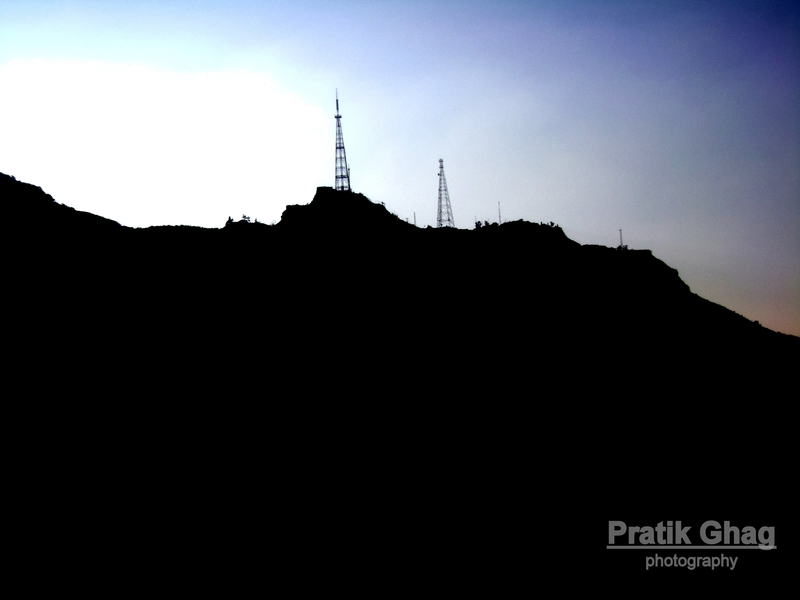 We saw the Nar Vir Tanaji Smarak and saluted him. There we met a local old man who entertained the people by singing the Powada ( पोवाडा ) of Tanaji Malusare (powada is a Maharashtrian form of music in which the stories of people are sung in form of poems/songs) describing his heroics making us imagine the actual battle which took place on Sinhgad. The old man described Tanaji Malusare’s body. He was a very strong man with a chest of 58 inches and at the time of battle he was carrying two swords, the one in his right hand weighing approx 35 kgs while the other one 15 kgs in his left hand. This cleared our picture about this Mavla’s (Maratha warrior) strength and might. We thanked the old man for the information and moved to explore more. We were tired and had a good meal of Zunka-Bhakar and Kanda-Batata Bhajjis and drank the chilled water of Dev take. We then went to historic Kalyan Darwaja and the to Kalavantinicha Buruj. 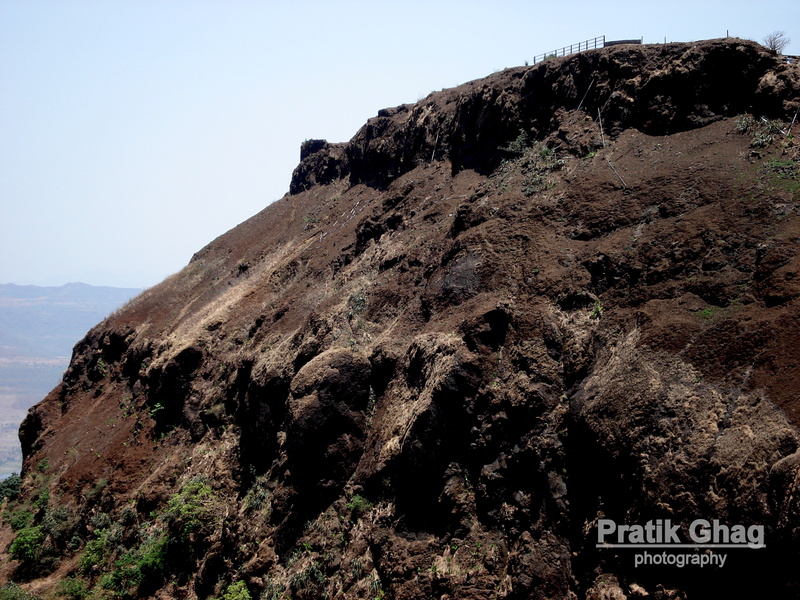 We watched the famous Tanaji Kada and were totally speechless about the steep slope. We were amazed by the view of the nearby surroundings and were left with our mouths open. Then we visited the Paga (horse-stables) and started descending down the fort with alot of memories. And without fail I would like to tell you that while coming down the fort you can actually switch off your engines as the gravity itself brings you down the hill. But please check your brakes cause it’s nearly impossible to slow down your bikes. 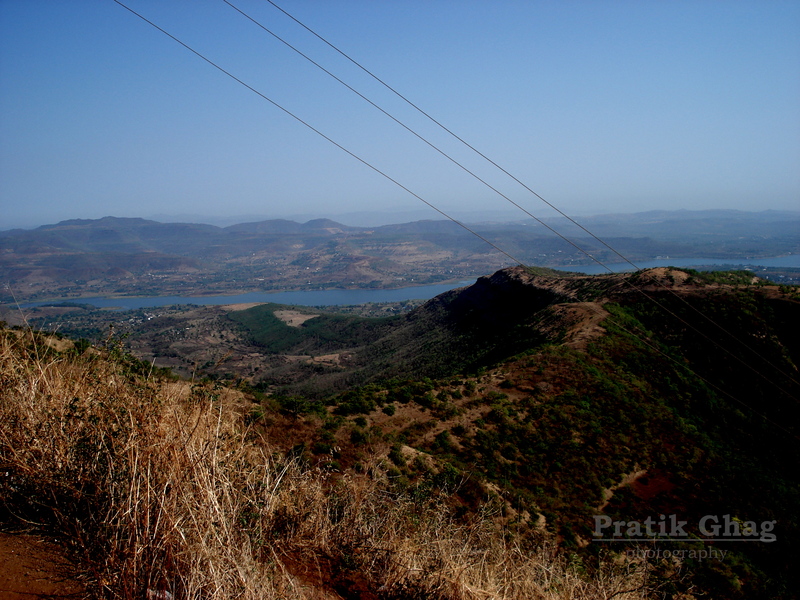 Enjoy the thrill of mountain biking in the SAHYADRIS OF MAHARASHTRA. 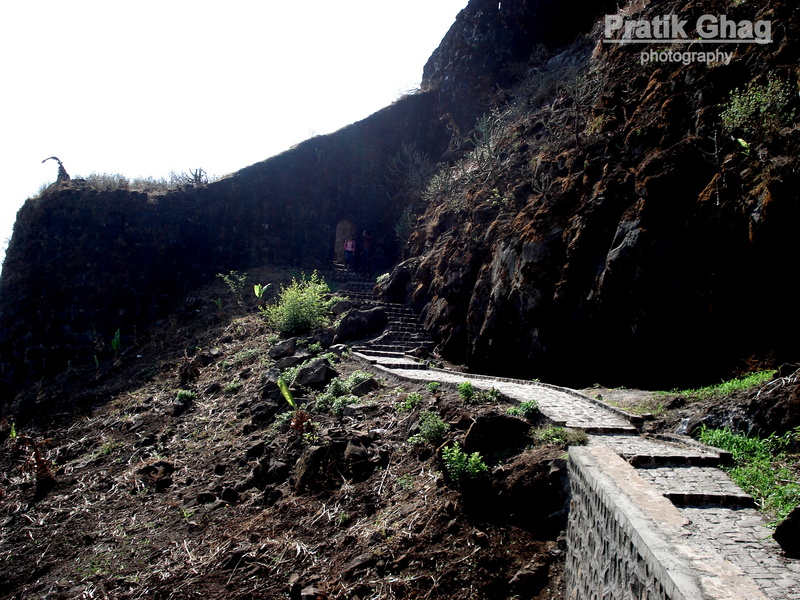 The second time we visited we decided to trek the fort. We started early in the morning and were accompanied by lots of trek enthusiasts of all ages. We started our treks (again through paths less travelled, afterall it was meant for exploration) through the forest cover, steep climbs, stones, mud. We saw a number of small creatures along the climb like chameleons, spiders, etc. I cursed myself for not bringing my camera with me. We were feeling like the Mavlas and in our minds we were saying “ हर हर महादेव !!! “. We slipped a number of times. Overall it was a thrill to climb up the fort. 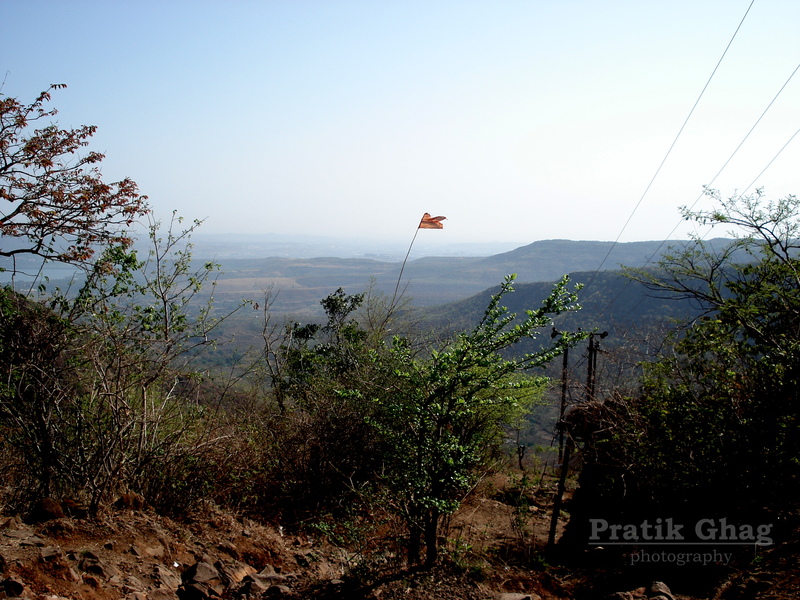 Though it took us only 45 mins to climb we were totally tired because of the difficult terrain giving us a clear idea why the Maratha forts were almost unconquerable. This time we had total information about the fort and decided to reach for which we had let unexplored in our previous visit. We went to the Samadhi of Chhatrapati Rajaram Maharaj. He had played a crucial role in the Maratha war of 27 years with the Moghal emperor Aurangzeb after the tragic, heroic and most unforgettable death of Chhatrapati Sambhaji Maharaj a war after which the Moghal empire was weaken to a great extent. 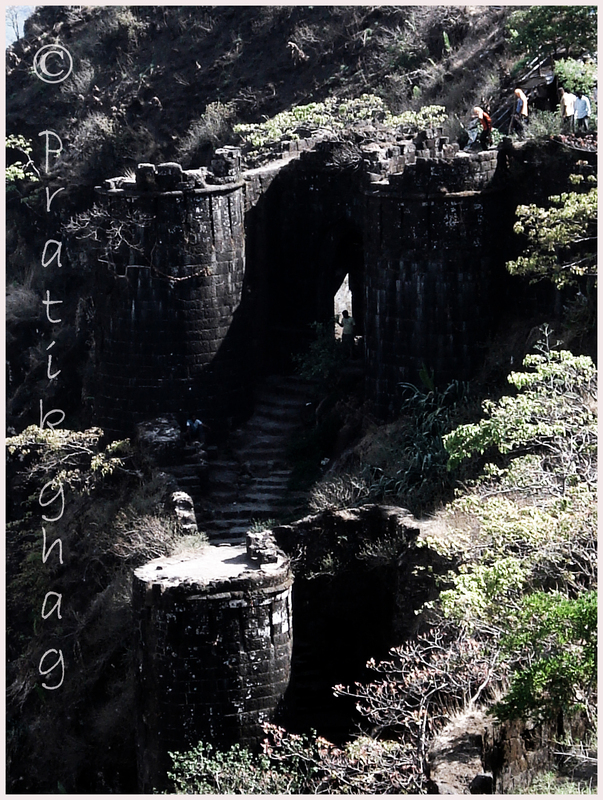 Then we visited the bungalow of Lokmanya Balgangadhar Tilak and then explored the fort’s beauty. Then we descended down with feeling of happiness. The third time was during monsoons. There are no words in which the experience can be given justice. I suggest you to personally experience the thrill. 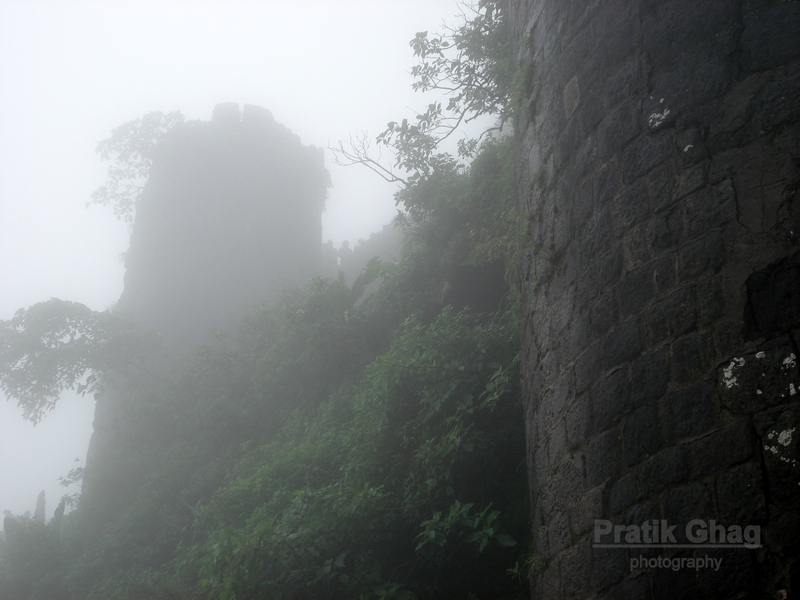 The fort was covered with fog and it was raining very heavily. We were totally wet from head to toe. We thanked ourselves for bringing our raincoats although they could do nothing to stop us from getting wet. We had a great meal of garma-garam bhajjis and hot tea. All we could see was thick fog at a few metres infront of us. We could not imagine how the climate could have been in those days. We sat at the Kalavantinicha Buruj were the wind was actually pushing each one of us backwards and we barely could balance ourselves. That was the most fascinating experience of the day. We started are way back home promising ourselves to come back next monsoon. 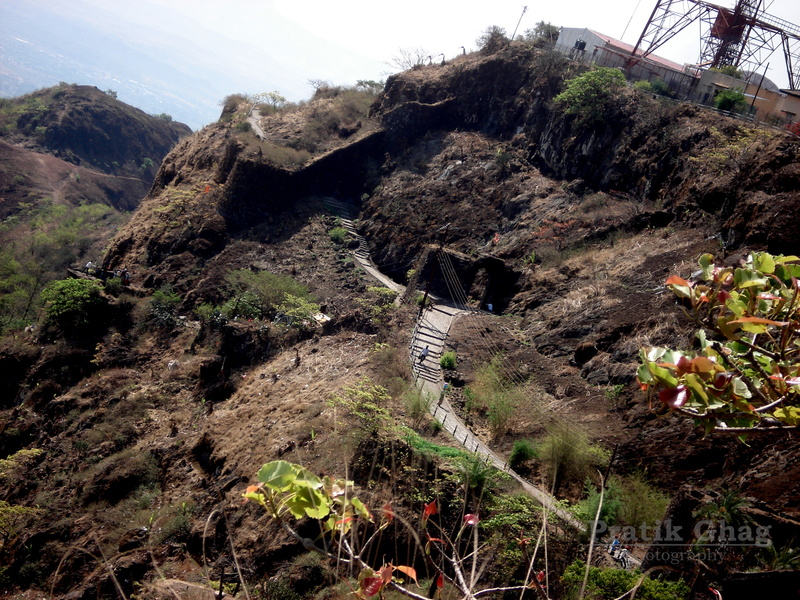 Sinhgad ( सिंहगड, The Lion’s Fort ) is a fort located roughly 30 km southwest of the city of Pune. It is situated on a hill rising 800 metres above the surrounding countryside. 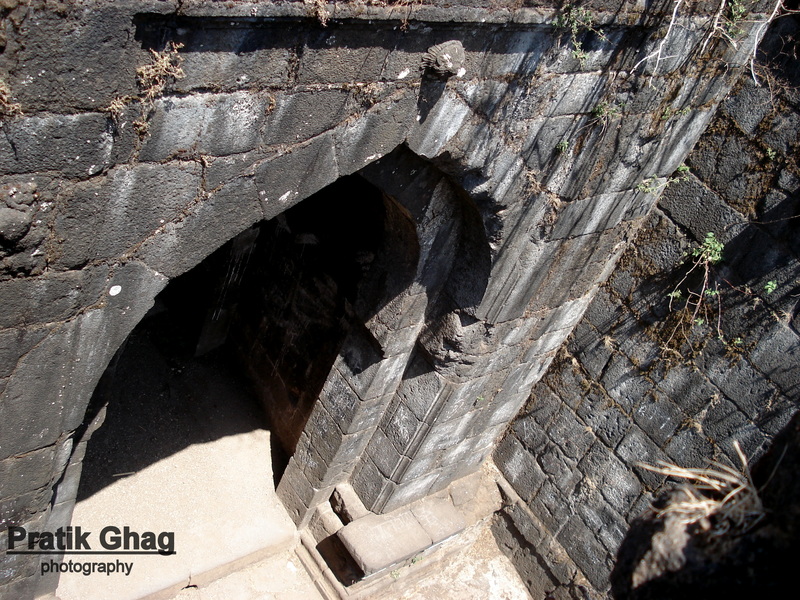 Previously called Kondana ( कोंढाणा ), the fort has been the site of many important battles, most notably the Battle of Sinhgad in 1670. 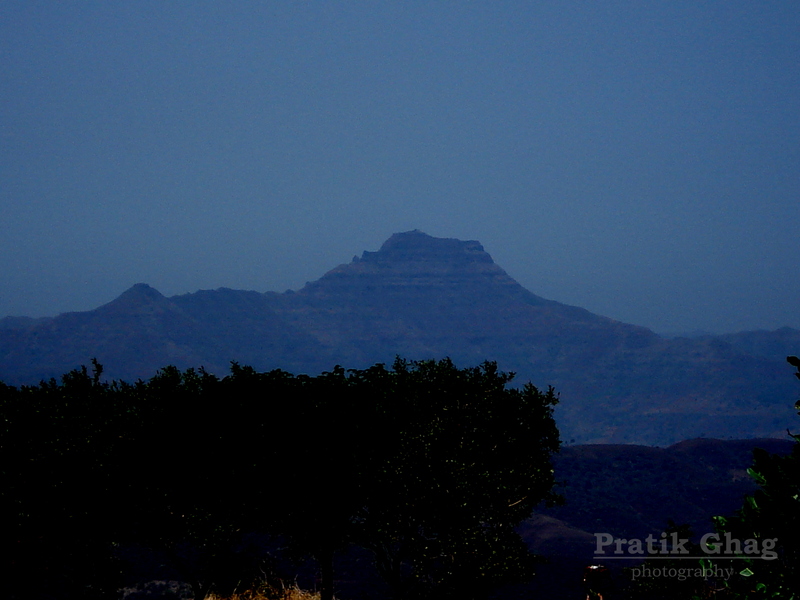 Its height above sea-level is 1350 metres. It has two gates – the Kalyan Darwaza in the south-east and the Pune Darwaza in the north-east. 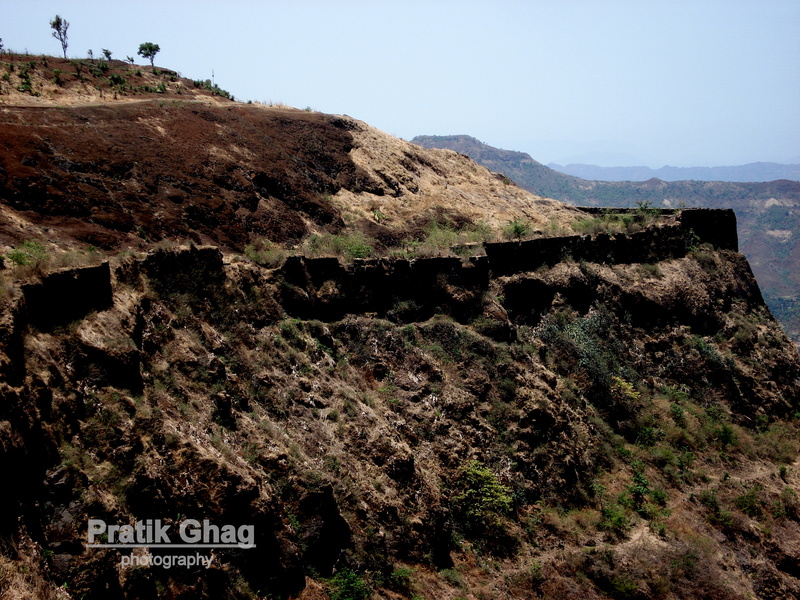 One of the most famous battles for Sinhgad was fought to recapture the fort by Tanaji Malusare a general of Chhatrapati Shivaji Maharaj in March 1670. 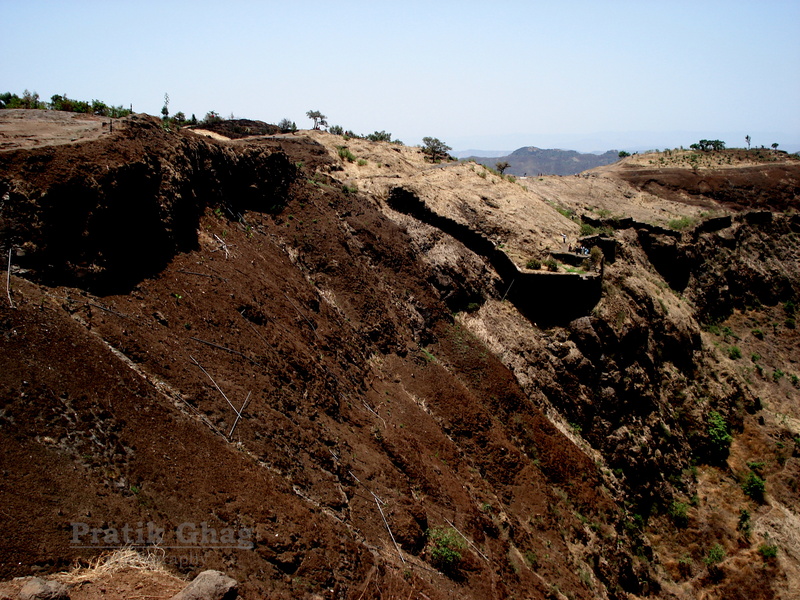 A steep cliff leading to the fort was scaled with the help of a monitar lizad ( ghorpad ). Thereafter, there ensued fierce battles between Tanaji and his men, and the Moghal killedar Udhaybhan Singh Rathod and his army. Tanaji lost his life, but his brother Suryaji took over and captured Kondana. 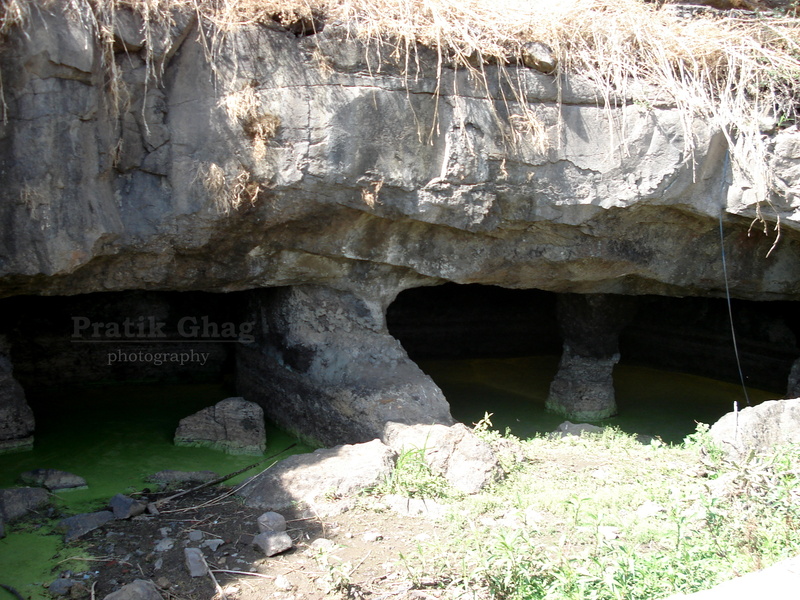 The fort was one of the favourite forts of Jijabai ( mother of Chhatrapati Shivaji Maharaj ). “ गड आला पण सिंह गेला ” – “We gained the fort, but lost the lion”. 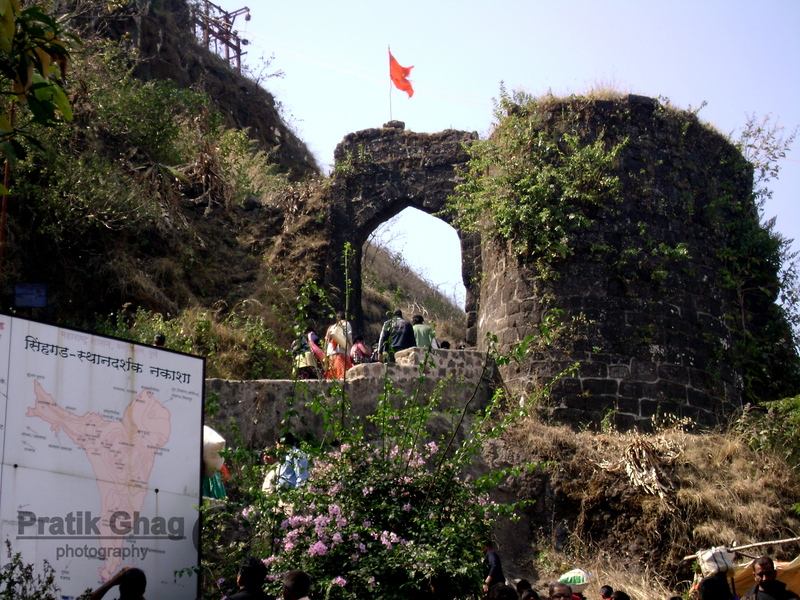 In honor of Tanaji’s death, the fort was renamed as Sinhagad. 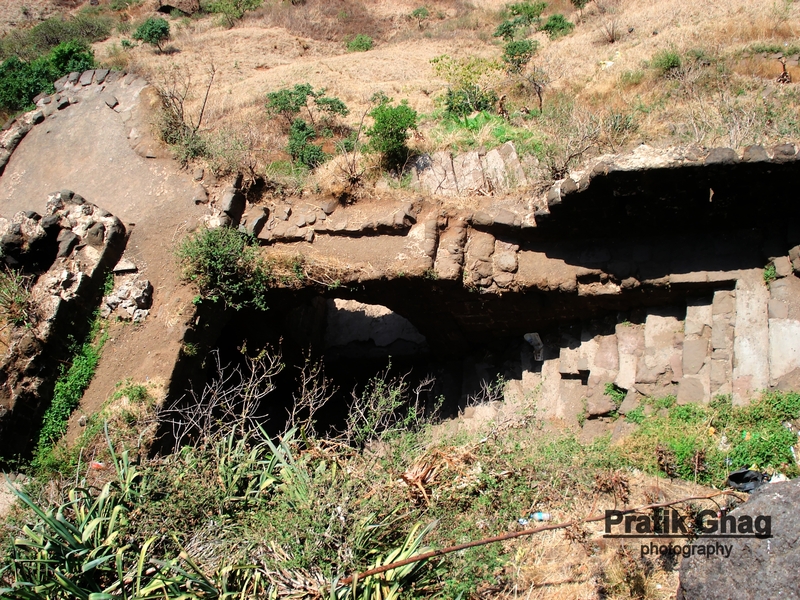 It was most difficult fort for the Bristish army to capture which took them 3 months the longest of all during the fall of Peshwas in 1818. 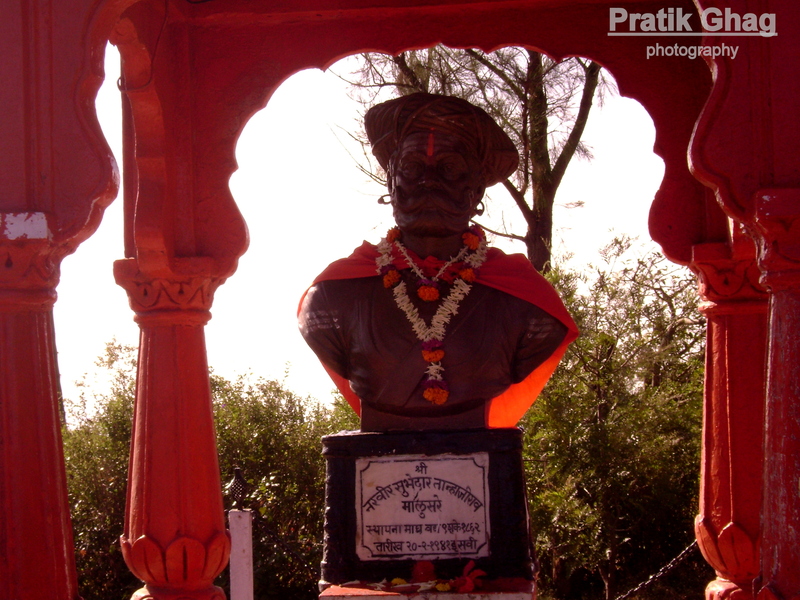 The fort has a memorial of Tanaji Malusare and also the tomb of Chhatrapati Rajaram Maharaj ( younger son of Chhatrapati Shivaji Maharaj ). 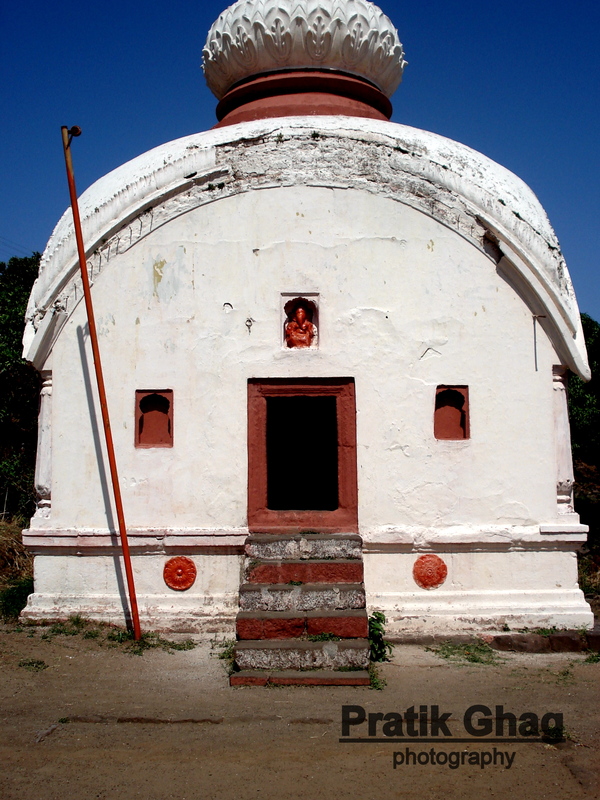 There are temples of Kondhaneshwar, Amruteshwar and Hanuman on the fort. 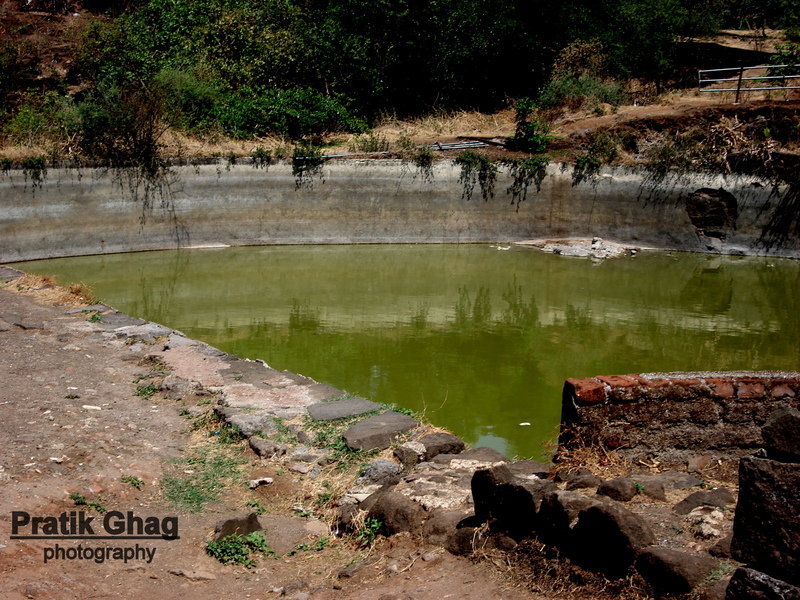 The fort has excellent water supply in form or fresh water tanks Dev take being the most famous of them for it’s chilled water throughout the year. The other tanks being Ganesh, Ram, Mahar and Hatti take. Given natural protection by the adjoining mountain ranges and the steep slopes, the fortifications and the bastions were built only at necessary places. 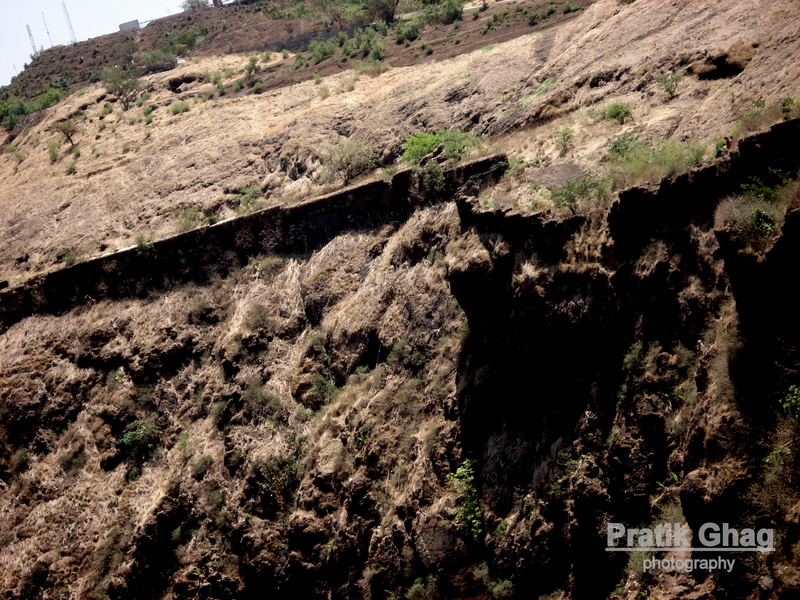 The fort covers about 80 acres of area being one of the largest and strongest forts of the Maratha empire. The fort also houses the bungalow of the architect of freedom struggle of India Lokmanya Balgangadhar Tilak. 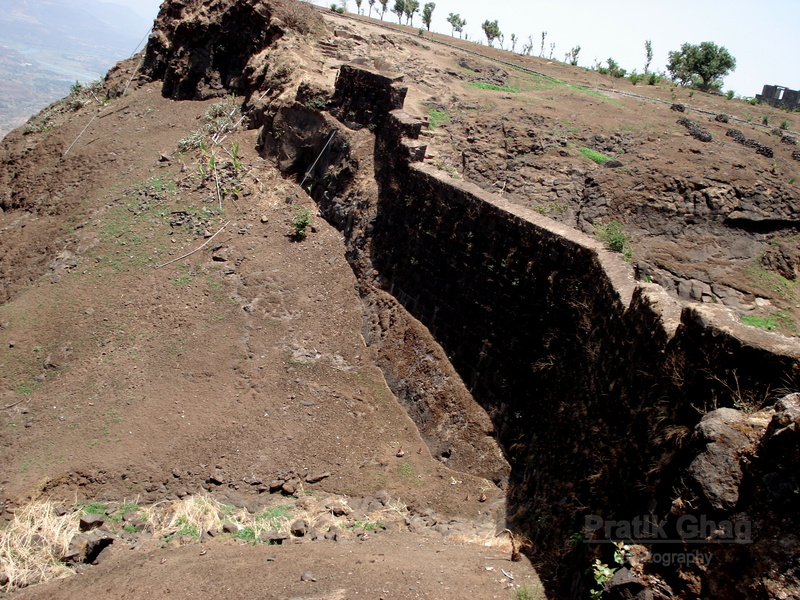 It was this steep slope from were Tanaji and his fearless Mavlas ascended the fort with the help of moniter lizard (ghorpad). Samadhi of Chhatrapati Rajaram Maharaj. 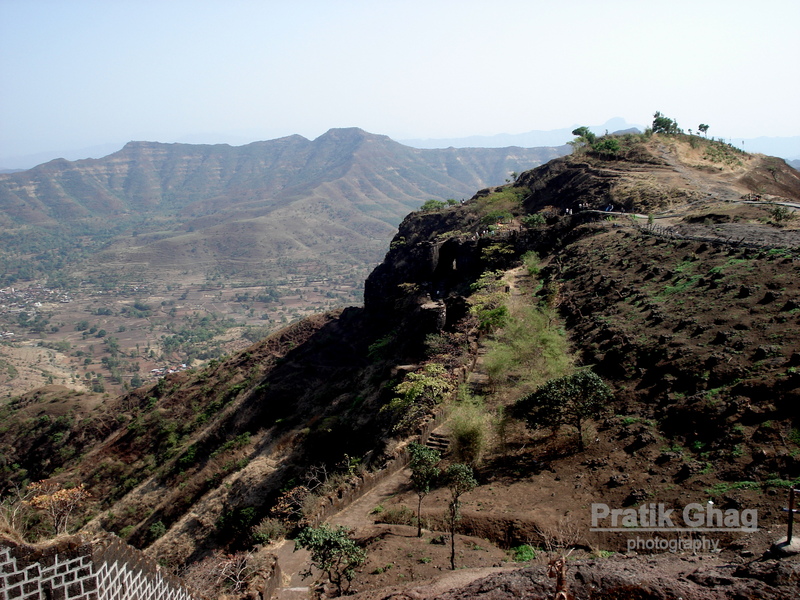 It is located about 32km from Deccan and public transport is available from Swargate/Shaniwarwada upto the foothill of the fort from were one can climb up ( takes at the most 1.5 hours ) or go by private jeeps. 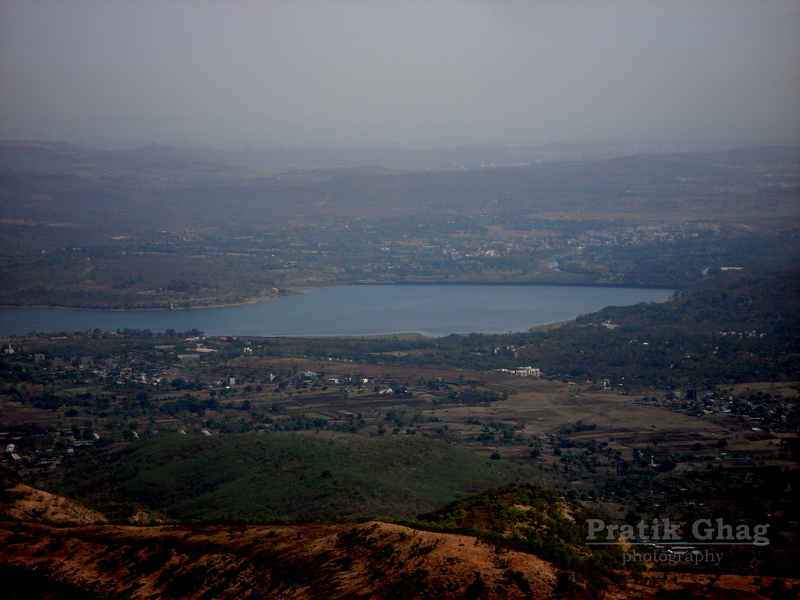 To enjoy the most one can simply ride up on bike from Pune on the road to Khadakwasla dam. Parking is available in plenty. Please try to avoid big 4-wheelers as far as possible as the road en-route to the fort is quite narrow and steep which causes inconvenience to all the traffic causing chaos. The famous Zunka-Bhakar, Dahi ( curd ), Garma -garam kanda/batata bhaji ( onion/potato pakodas ) are available in plenty at local vendors atop the fort with the chilled water of Dev take to fulfil your thirst. Non-veg and alcohol are strictly prohibited throughout the fort with a very huge fine. Refreshing lemon drinks, coffee, tea and cold-drinks are available at some vendors. Year end and monsoon. Do carry full-length raincoats and sweaters without fail when visiting in monsoon and winter respectively. Please maintain dignity and respect the historic monument. Please do not litter and make unnecessary markings on monument walls. The place is of national and historic importance and should be preserved with most care and respect. 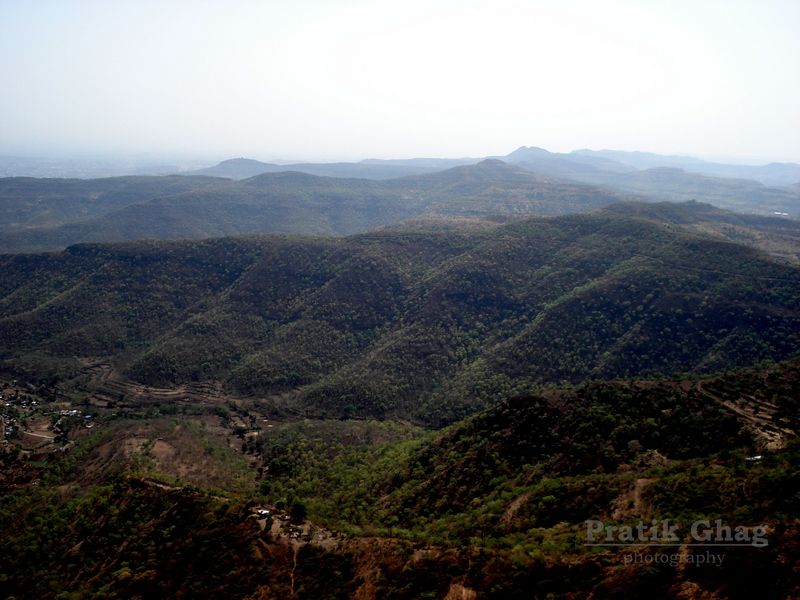 Kalyan Darwja seen from above. A little jumbling when it comes to choose the steps. 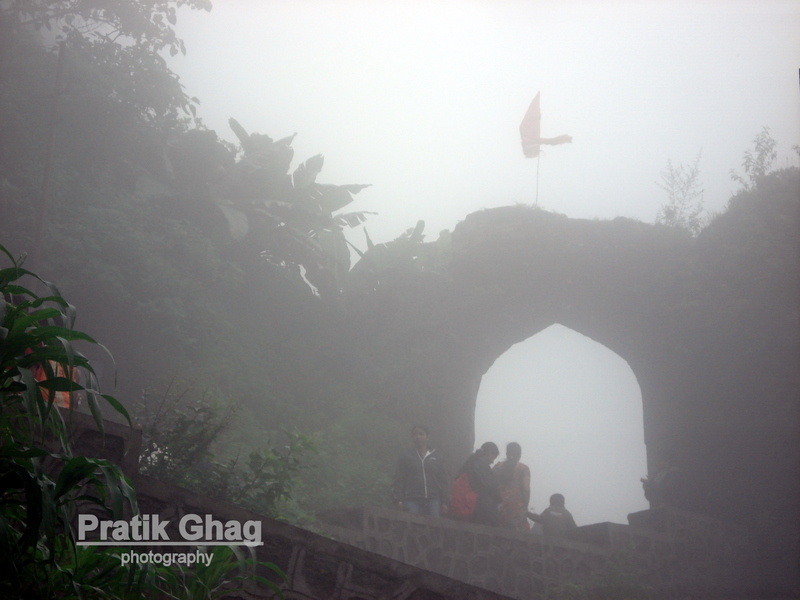 It can be clearly seen why the Moghals could never conquer any of Maratha forts espeacially during monsoon due to dense fog and less visibility. 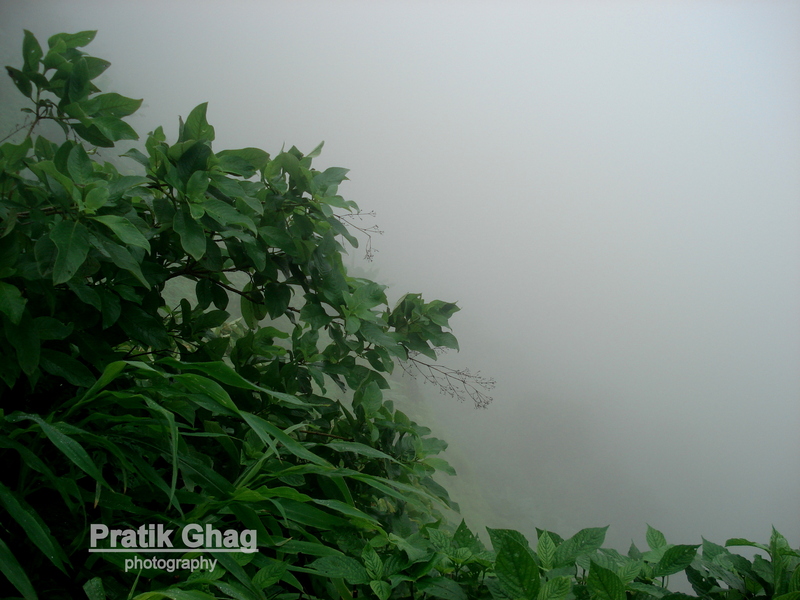 The difference of visibity during monsoon and other seasons can be clearly seen comparing both photos of same place. If looked properly looks like elephant's trunk. 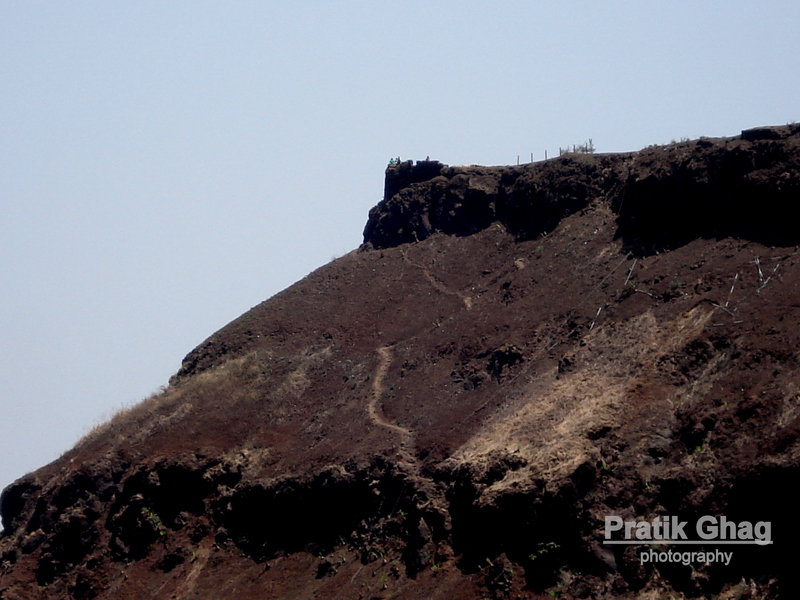 Feel like the brave MAVLAS ( soldiers ) of Chhatrapati Shivaji Maharaj. छत्रपति शिवाजी महाराज की जय !!! hey..really good blog page here.lots of hard work i see.keep it up..!! nice pics.. rilly awesome… kip da gud work on! etak ka lihilaes??????????????????????awara!!!!!! !mhanje info asli tari thodkyat lihavi na!!!!!! !kiti vachaych na 1khadyane!!!!!!!! Hey awesome yaar…just really awesome!!! not a sigle visit yet.. Thanks.. 🙂 keep visiting for more.. also check out other pages..
very fabulous Job and Photography .. Thanks.. yeah a lot of research on the fort. Do check out the other posts. now they are quite safe. The authorities have widened the roads large enough. yeah, i did have female riders during my visit. I did switch them for entire time, but I suggest not to do so. Takes a toll on your vehicle. Yup, mopeds. Sure thanks for your reply. So even the female riders switched off the engine too or they kept it on. Kinetic honda is doable right or we need activa which is more powerful? Thanks. I suggest not switching off the engines for safety as it is rainy season and roads may get quite slippery. I would advice against kinetic honda, activa would be definitely more preferable and safe. We are planning to go in Septmber when rains ease off. Many times I switch off the engine here in Pune on slopes when I ride my Kinetic. So was only wondering if the female riders who came with you did they also ride with engines off thr so I can do the same. Thanks. yeah they had switched them off. Thanks Pratik for your help and reply. 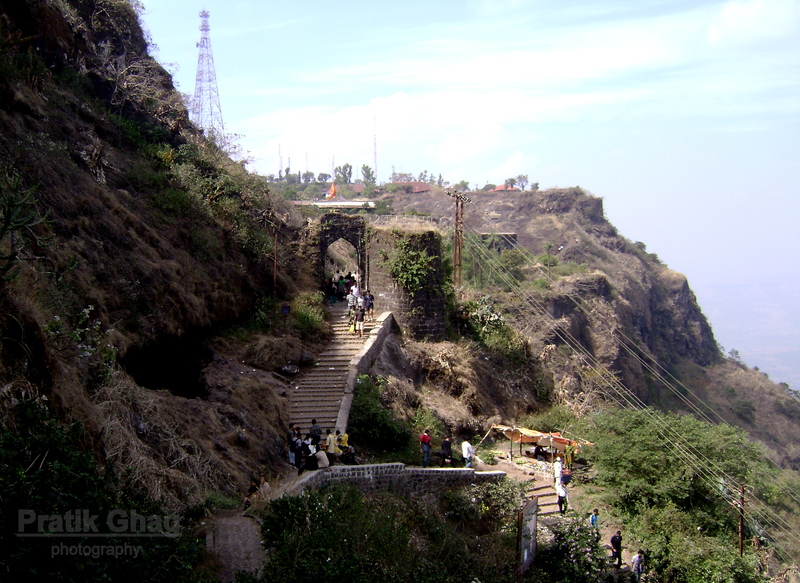 It would be nice to share a picture of your/your group scooter trip to Sinhagad as well. Thanks, Kusum. You are welcome. Sorry no photos from the ride. we want to visit by public transport. i herard there are shared taxi’s available from the base. i also heard the road has been closed this monsoon. is that true..
No idea of road closure, last year it was closed for repairs. Yup, there are jeeps available from the base. public transport available from Shanipar in the city and Katraj main bus stand. छान फोटो! सविस्तर माहितीबद्दल धन्यवाद! सिंहगडाची दुर्दशा पाहून जीव कासावीस होतो. ज्या संह्यद्रिने व गड-किल्ल्यांनी स्वराज्य निर्मितीत सिंहाचा वाट उचलला त्या संह्यद्रिची व गड-किल्ल्यांची आपण सर्वांनी वाट लावलीय. आपण सर्वांनी मिळून हे वैभव पूर्वस्थितीत आणल पाहिजे. It’s really nice. 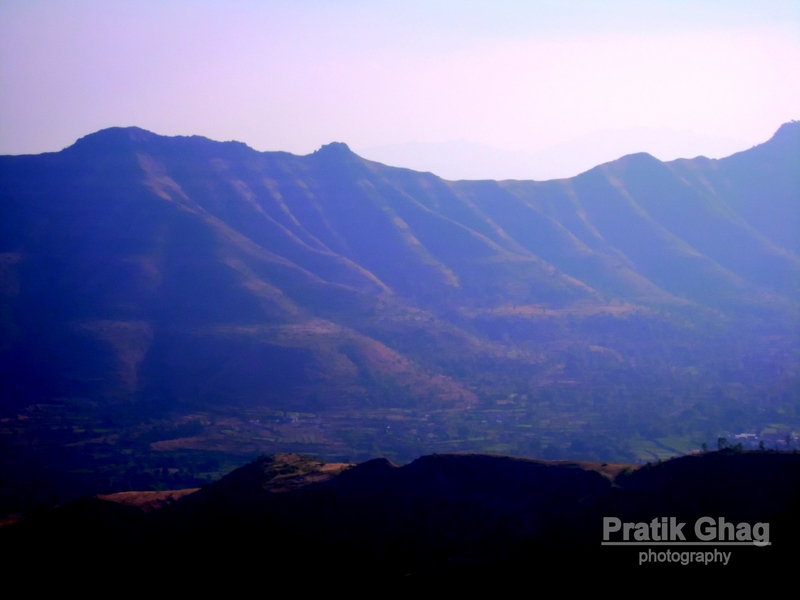 By seeing these photos, I m also planning to see Sinhgad. It was nice experience to see and read your collection of Shinghad . 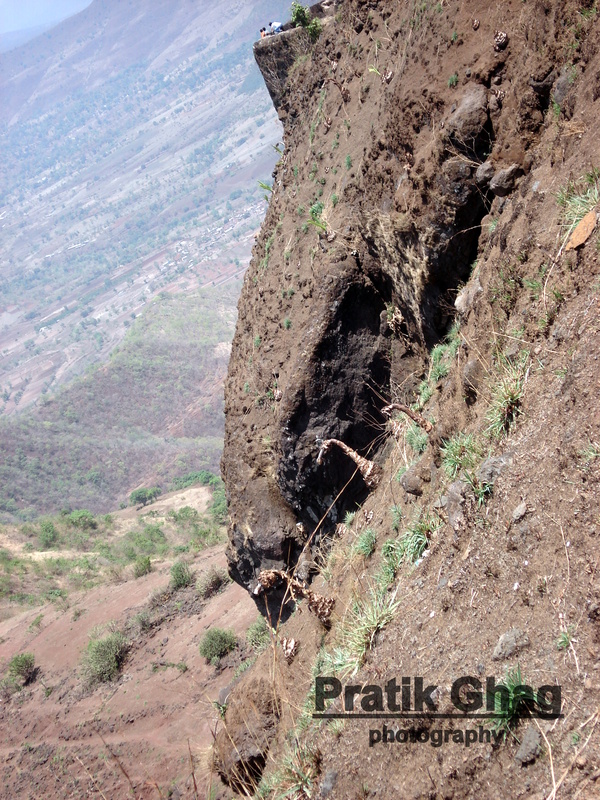 I saw singhgad 3-4 time, still during my reading i fell i am at singhgad . always Feeling very proud by seeing our Great King ‘Shivaji Maharaja’ forts. Thank you sir for such great photo graphs and information. Mi ajun paryant Sinhgadawar gelelo nahi, pan hi mahiti wachun javese watate aahe ! “JAY MAHARASHTRA” ! Tanajinchya Talwaricha Wajann kuthun Milawlet ? khupch sundar photos n information aahe pratik… very well done!! !